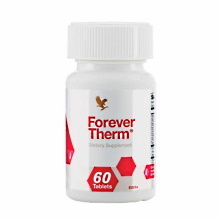 Forever Therm is a powerful, supportive formula to help boost our energy levels and kick-start metabolism, helping us on our weight-loss journey. It provides a powerful combination of botanical extracts and nutrients to support energy and metabolism, and help us achieve our weight management goals. 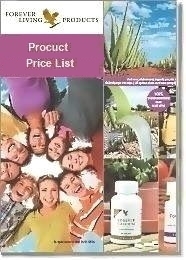 May boost metabolism, when used in conjunction with a healthy diet and exercise program. Starting on a weight management program can be a daunting task, and the road to meeting our goals may seem arduous and lengthy. Beginning a healthy, calorie-controlled diet, and establishing a regular pattern of exercise, are two major steps that will carry us through our journey to success. However, there are also additional tools that can help support our endeavors. Green Tea extract provides the metabolic and antioxidant support of powerful polyphenol compounds known as catechins, which have been well-researched for their support of thermogenesis. Thermogenesis is the burning of fat to produce energy in the cells of the body. Forever Therm also provides natural caffeine-related alkaloids from Guarana seed extract to help support energy levels during your workouts and busy day. Studies show that Green Tea is synergistic with natural caffeine to support thermogenesis. Green Coffee bean extract provides unique compounds, the chlorogenic acids not found in high levels in roasted coffee beans. These active constituents are shown to help inhibit the absorption of glucose and, as such, may help to support normal blood sugar levels for those already in the normal range. Such effects can help to control cravings as well as dips in energy levels. The perfect partners for this trio of metabolic-support botanicals are raspberry ketones , and a full complement of B vitamins with Vitamin C. Research indicates that raspberry ketones may help to support the metabolism of fat, which can be used by the body for energy production. B vitamins and vitamin C are essential in the metabolism of carbohydrates, proteins, and fats. Since these vitamins are readily depleted during times of physical stress such as during exercise replenishment is important and can play a role in metabolic support. Of course, the foundation for any successful weight management program is maintaining a healthy diet and obtaining adequate exercise. 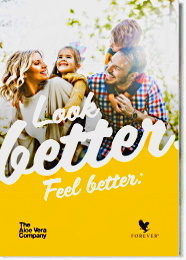 Take 2 tablets of Forever Therm daily. You can take one tablet in the morning and one at lunch, or take both tablets in the morning, whichever is most convenient for you. It is suggested not to take Forever Therm after 6pm, due to its natural caffeine content.